Pair of Association Miniatures of General Jacob Morris and Mary Cox Morris attributed to Charles Willson Peale (1741-1827). 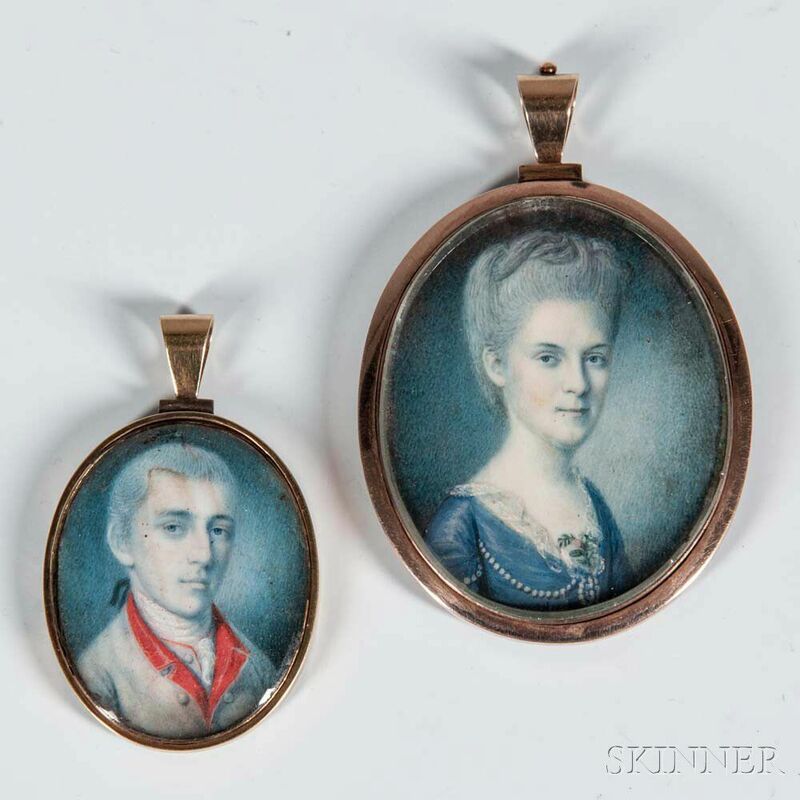 Two gouache on ivory miniatures attributed to Peale of Jacob Morris (1755-1844) and his wife Mary Cox Morris (1759-1827), in metal lockets, each engraved on the verso, 1 1/4 x 1 1/2 in. and 1 1/2 x 2 in.